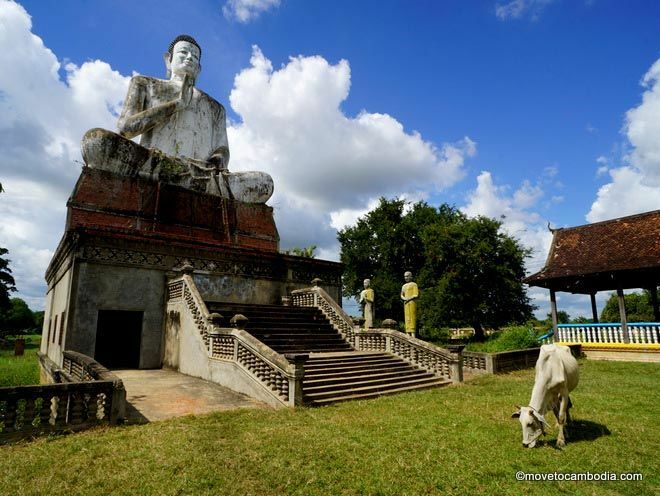 Battambang is a quiet town, a far cry from the noise and congestion of Siem Reap or Phnom Penh. 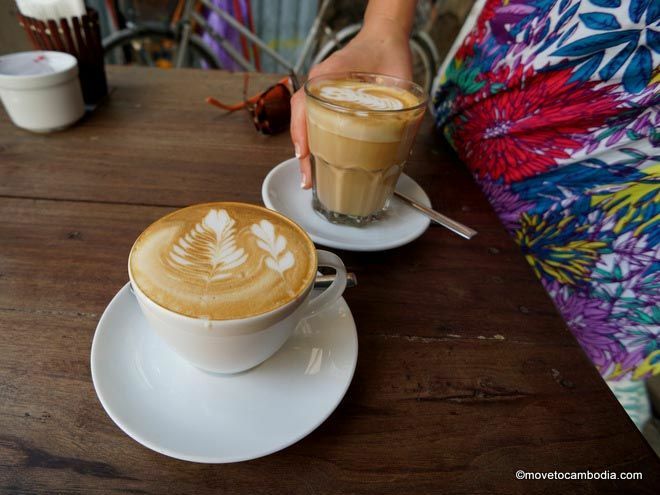 But tucked away on these quiet streets are cafes serving up some of the best coffee in Cambodia. Here are the five best coffee places in Battambang to grab a terrific cup of joe for when you’re tired of street coffee and condensed milk. The best coffee in Battambang? It’s definitely in the top five. Another cafe with a valuable social purpose behind their service, Kinyei has a reputation in Battambang as the spot for the best coffee in town. The brew their coffee with Feel Good beans, a rocket-fuel blend that contains a mix of Asian-sourced coffee beans and their baristas have won several international competitions. Personally, I think their coffee is a little over-hyped, but they get points for being the only shop in town selling soy lattes. Kinyei also has one of the best atmospheres in town: they are located in a small alley with greenery all around the front and a nice interior. No air conditioning though, which can be a bit tough in March and April. Coffees ranges from $1.50 to $2.50 and it’s $0.50 extra with soy milk. They also have a breakfast and lunch menu that offer up a nice list of indulgences. I recommend the eggs Benedict with spinach. Get a cup of joe at Cafe Eden. Cafe Eden is the place you go when you don’t mind paying extra for the comforts of home. Owned by an American woman, this little cafe has a social purpose, training young Cambodian kids how to work in an international tourism industry. When it comes to coffee, they train their baristas well. Cappuccinos come with little hearts in the foam, a latte is thick and rich, and the espresso is strong. These drinks are all pretty pricey, ranging between $2 and $4. But if you just want a nice cup of coffee that doesn’t break the bank, the brewed coffee is only $1, and you can get milk and sugar on the side for free. They’ve also got a Frequent Customer Card: after 10 drinks, you get one coffee free. 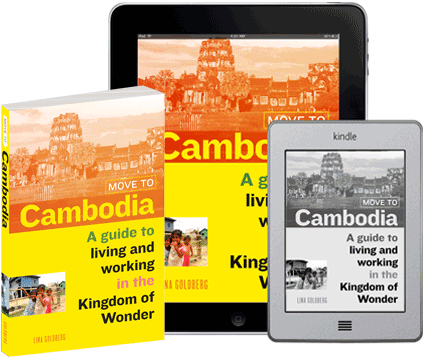 If you spend more than a minute in Battambang, you’ll notice there are two distinct groups within the expat community: the anglophones and the francophones. But there are some spots in town where the two groups come together, and Choco L’art is one of them. This cozy little cafe offers up breakfast, lunch, home baked bread, unbelievable desserts, and a french press filled with the coffee of your choice. Choose from Phnom Penh’s Feel Good, Lavazaa, Khmer, or Vietnamese coffee. 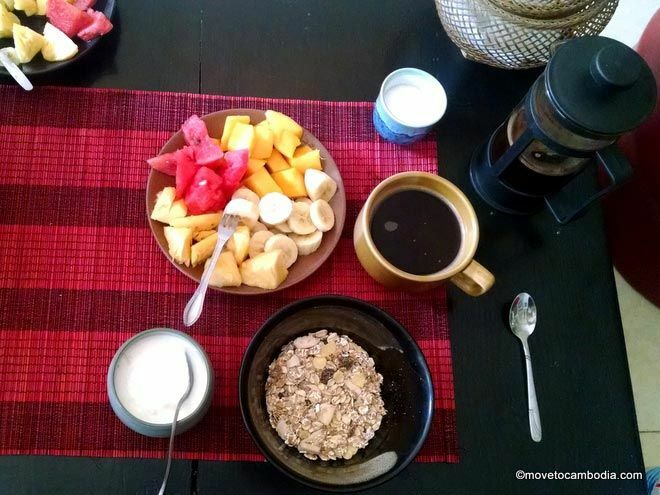 You get a French press, enough for two cups of coffee, for just $1.25. 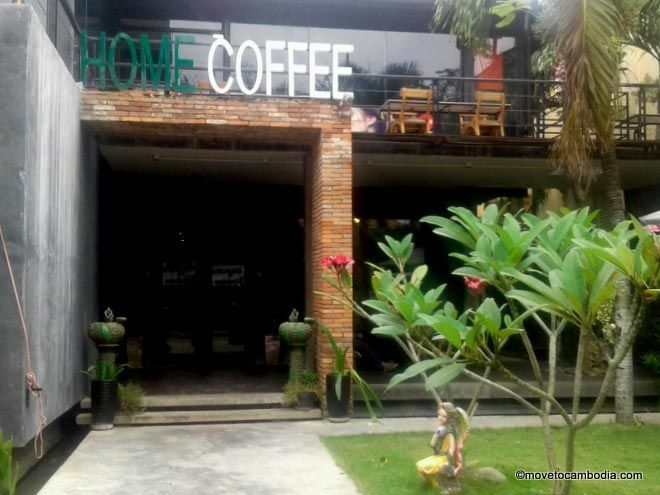 Home Coffee and Bakery is popular with the young and stylish Khmer crowd. A lesser known spot, this cafe is frequented by the stylish young Khmer crowd in Battambang, and is reminiscent of the cafe culture in Phnom Penh. With its sleek modern interior and architecture infused with koi ponds, this cafe would be at home in Tokyo or Los Angeles. They have a full food menu with breakfast, lunch, dinner, and dessert, along with a wide range of coffee-themed drinks. Choices vary from a simple americano to a decadent mocha frappucino. The drinks are similar to the expat cafe prices, ranging from $1.50 to $4, depending on how many crazy flavors and sugar shots you need with your coffee. Located across the street from the Khemara Hotel, it is a bit outside of town, but if you’re looking for a new escape or place to get some work done in an air conditioned space, Home Coffee satisfies. 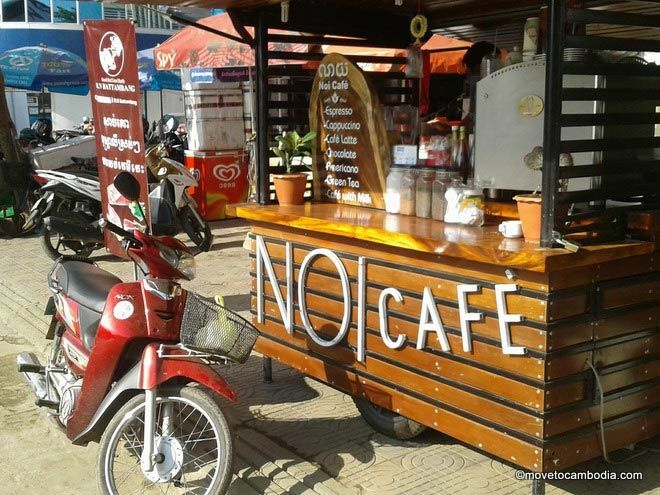 This cafe cart serves up some of the best coffee in Battambang. A cross between the Khmer street cart style and delicious espresso coffee, Noi Cafe is my personal favorite cup of coffee in Battambang. I’ll even go out of my way in the mornings to swing by Psar Nath and grab a cup. There are two of these carts close to the central market, but my favorite is the one on the corner of Psar Nath (Central Market) and Road 2. They use arabica coffee beans roasted by So Wat Roasters in Siem Reap, and brew each cup to order, using real milk, no cans in sight. Get the latte: two shots of espresso, poured over ice, with a splash of fresh milk on top. Perfection. An ice americano is only $1, and all other iced coffees are $1.25. If you’re feeling crazy, you can get a “frozen” coffee, their version of a frappucino, for $2. Open daily, 7 a.m. to 4 p.m.
Open daily, 7:30 a.m. to 9 p.m. 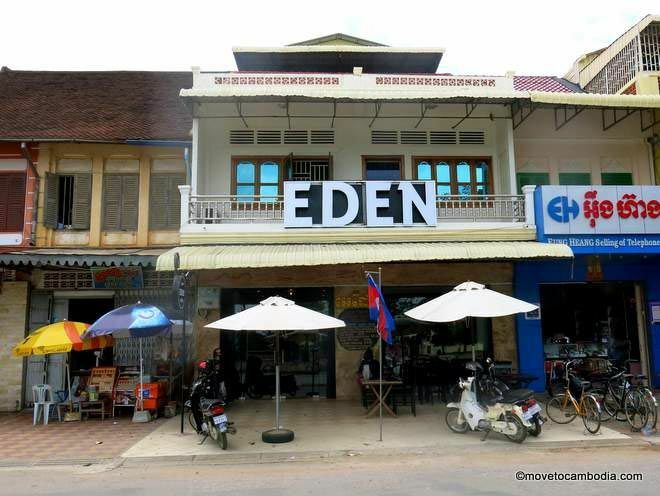 This entry was posted in Battambang, Food and tagged coffee, Choco l'Art Cafe, Feel Good, Battambang cafes, Cafe Eden, Home Coffee, Noi Cafe. Bookmark the permalink. Go to Eden for decent western food and coffee, but its not a social enterprise owned by an American woman. It’s owned by YWAM and they underpay most of their employees, most of whom are just college students in need of a job. The restaurant is just one of the ways they raise money for the mega-missionary base they’re building in Battambang. On their website they say (or at least imply) they are a social enterprise. Are you sure? And do you know how much they pay? I am happy to update the info on the site, I just want to make sure it’s correct.